The media sector in Montenegro is characterised by strong political polarisation. The few examples of non-aligned investigative journalism are subject to both direct and indirect pressure by the financial and political powers in the form of legal actions and, in the worst cases, of physical attacks to reporters and their property. The presence of foreign media, in particular of those registered in Serbia, intensifies political polarisation and internal competition in an already restricted market. The country’s limited size (less than 700,000 inhabitants) and the competition of other regional actors make it difficult for genuinely national outlets to support themselves, with financial issues exposing them to political pressures that further limit their independence. “The media scene [in Montenegro] is deeply divided along political lines between pro-government oriented media and their opponents. Regulatory bodies function independently from the government, but their financial independence is jeopardised by the Parliament which is responsible for the adoption of financial plans […]. Self-regulation is weak, and professional organizations, including Unions, do not have any significant influence”. The country counts 5 national daily newspapers (Vijesti, Dan, Pobjeda, Dnevne Novine, and Informer – the ownership of the last one is registered in Serbia) and 4 national television stations (public broadcaster TVCG, TV Vijesti, PRVA, and PINK – the ownership of the last two is registered in Serbia). There are only 2 national radio stations (public Radio Montenegro and private Antena M) and one press agency, MINA. The main online media are Vijesti, Cafe del Montenegro-CdM, Analitika, and Antena M. National public broadcaster TVCG is currently transitioning to digital, while private channels have already completed the process. The sector’s turnover for 2015 was around 36 million Euros , 60% of which generated by the public service. Most monitoring organisations have found issues limiting pluralism of information in Montenegro: the Media Pluralism Monitor, for example, points out several partisan interferences on the press, online media, and the audio-visual sector. As shown by the Media Clientelism Index, each outlet unconditionally supports its political side, putting public interest second and turning information into propaganda. A shining example of this is the daily Informer , local edition of the Serbian tabloid, that constantly features personal attacks against members of the political opposition and civil society activists. The lack of transparency in media ownership contributes to limiting pluralism of information: as pointed out by the SEE Media Observatory, the current legislation on concentration of the media is inadequate, as it does not prevent an entrepreneur from controlling more than one outlet and fails to solve the crucial issue of financial sustainability. OBCT had the chance to investigate the case of the company First Financial Holdings , founded by Greek businessman Petros Stathis (one of the main private partners of the Podgorica government), which controls as many as 4 outlets: daily newspapers Dnevne novine and Pobjeda, plus news portals Cafe del Montenegro (CDM) and Analitika. In Montenegro’s restricted market, financial pressures heavily influence editorial agendas, creating a preferential regime for pro-government media and generating self-censorship in journalists. Both public funds and advertising from public companies are allocated with arbitrariness and little transparency. The Media Pluralism Monitor points out the lack of transparency in allocating funds to support information, while the annual report by IREX highlights the way this mechanism impacts on local media . The selective, inconsistent application of sanctions has been identified as another instrument of control and pressure. Over the last few years, “punitive” actions have targeted the weekly Monitor and TV Vijesti through the freezing of their bank accounts . “[…] media which choose their loyalties in favour of business opportunities are ready to put the ethical rules behind, thus providing the content that serves not the interest of public but political agendas”. Indirect pressure on editorial policies is exerted through the advertising market, the turnover of which is estimated at around 10 million Euros for the private sector only. In addition, advertising from public administrations and companies generates a turnover around 2-3 million Euros. Around 80% of the advertising market is controlled by a restricted number of agencies. The advertising procedures used by public authorities and companies – little transparent, devoid of a clear market logic, and hard to trace – strengthen the suspicions that the allocation mostly takes place according to clientele mechanisms. Cases of physical aggression – with targets including Vijesti founder and managing director Željko Ivanović in 2007 and Vijesti journalist Mihailo Jovović in 2009 and 2014 – are not exceptional. 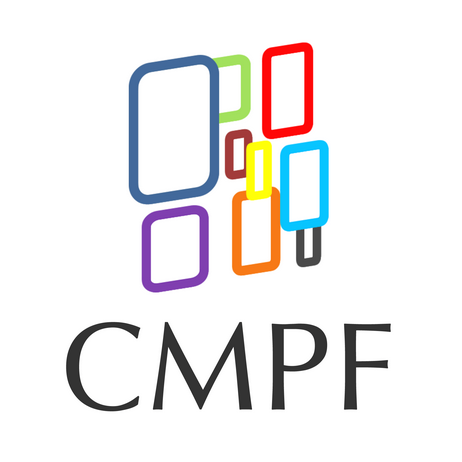 Since 2014, the regional monitoring platform SafeJournalists has registered 25 episodes of violence against media workers; over the same period, the European platform MappingMediaFreedom has registered 40 episodes of diverse nature. Verbal and physical attacks against journalists by both politicians and the pro-government media are daily occurrence. In this climate of strong polarisation, investigative journalism is particularly affected by pressures by political and economic powers. “Journalists do not feel free to investigate cases of organized crime and corruption, and especially those where there is a potential link between people in power and criminal groups. Fear is additionally reinforced by the unresolved murder of the editor-in-chief of Dan, Duško Jovanović”. Also the European Commission deplored the impunity of crimes against journalists, citing the unresolved murder of Dan editor-in-chief Duško Jovanović and the role of such negligence in stifling freedom of the press and investigative journalism. Legal suits for intimidation purposes, smear campaigns, and failure to condemn aggressions against journalists contribute to create a bad climate for the profession. If adding the poor labour conditions, low salaries, and the category’s strong internal polarisation , it is not hard to see why the numbers of aspiring journalists are dropping, which heavily affects the quality of information available. In Montenegro, access to information of public interest is guaranteed by the Constitution and regulated by a law passed in 2013, currently under review following EU pressure for the country to adhere to European and international standards. However, the actual implementation of this constitutional and legal obligation is unsatisfactory, as pointed out by the European Commission Progress report 2016 , that invited Montenegro to improve the application of the law, particularly when corruption is involved. The violation of the law became apparent in 2015, when the government denied some NGOs and media access to information on privatisation contracts for some companies. Administrative silence occurs especially when sensitive topics are involved such as the abuse of public resources, the management of public companies, public debt, and privatisation processes. “The silence of the public administration remains conspicuous – institutions have ignored almost one sixth of the requests”, told Vijesti MANS’ justice programme coordinator Vuk Janković. He believes that institutions have not yet recognised the importance of publishing information, particularly in those areas that may, directly or indirectly, reveal abuse of public resources. According to an article by Vijesti in collaboration with Osservatorio Balcani Caucaso Transeuropa, published in the framework of the joint dossier on access to information in South-East Europe, it is particularly hard for journalists and non-governmental organisations to obtain information of public relevance from institutions. Vijesti initiated several campaigns for more transparency and access to information of public interest. However, these very campaigns showed that part of the public opinion underestimates the importance of the right to access information and its own role in monitoring the way public money is spent. In Montenegro, in fact, most requests for access to information are submitted by NGOs – according to data gathered by MANS, the level of public awareness and knowledge of procedures to exercise the right to accessing information is extremely low. The article was republished from European Centre for Press and Media Freedom (ECPMF) with permission. Be the first to comment on "Media freedom in Montenegro: a survey of publications"